What's so special about the Archive anyway? Francis Frith’s legacy to us today is of immense significance and value. The magnificent archive of evocative historical photographs that he and the Frith company photographers created between 1860 and 1970 is a unique and unrivalled record of the changing face of Britain over 110 years of amazing physical and social transformation. There is no other photographic collection of its kind which is so comprehensively recorded and accurately dated, which has such wide geographic scope and yet covers so many locations in depth. Many of the locations in the Frith inventory were revisited regularly by the photographers over the years so the Frith company could update the views that were sold, resulting in a series of images that illustrate detailed changes in the locations portrayed over a gradual period of time. It is this sheer wealth of visual data, the painstaking chronicle of change in dress, transport, streets, public buildings, housing and landscape that captivates us so much today. The images in The Francis Frith Collection are increasingly used as visual resources, by social historians, by researchers into genealogy and ancestry, by architects, conservation societies and town planners, and by teachers involved in local history projects. The Frith photographs show a fascinating record of Britain in the past. They record people who lived in times very different from our own, wealthy and poor, stylish or ragged, chronicling them at work, rest and play. These images do not show an imagined Britain of a film set: real people gaze back to us from these photographs, people whose names we usually do not know, captured forever by the camera’s lens in a moment of time as they were doing many of the things we do today – busily working, doing their shopping, holidaying and seeing the sights, or just standing around holding conversations – before they moved out of frame and back into their lives. 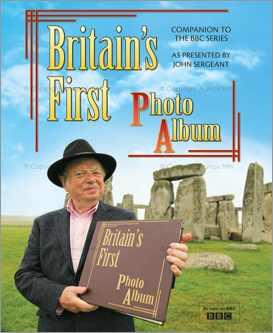 the BBC series presented by John Sergeant. The Frith photographic archive is a priceless, enthralling and nationally important photographic pageant of British places, life and character. Thanks are due to the three men who made it possible for everyone to see and enjoy this treasure trove of historic imagery today: Bill Jay, who saved the photographic archive from being destroyed; John Buck, who took it over and made it available to everyone in its present incarnation; and of course, the man whose vision and determination made it all possible – the remarkable Francis Frith! NEXT: Get started! - Search the Archive for photos of your favourite UK places.